Villages in Himalayas are breathtaking. From deep in Valleys to high over plateaus these villages have a life of its own. The people, the culture and their unmatched beauty leaves you wanting for more. 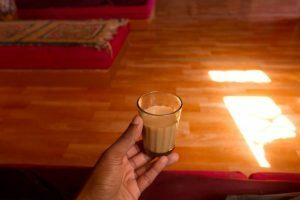 Our Himalayan Homestays are the best to experience life in these villages. The homestays are large and consist of spacious guest rooms, dining area, family room, kitchen and garden areas. Most houses are constructed by traditional methods using local clay and wood. The walls and roof are very good insulator during harsh winters. Our network of village homestays extends to every village in Spiti and our homestay hosts are mostly ex-guides and mountaineers with incredible experience and fantastic climbing stories from their expedition days. They also have a keen understanding of how to take care of visitors and you will be well looked after at all times. Be sure to checkout the Spiti Valley Tours Facebook Page or our instagram www.instagram.com/spitivalleytours for galleries of photos from each village in Spiti we visit! We provide our guests with Standard, Deluxe or Luxury Hotels depending on the requirement. We partner with the best hotels at every destination in the respective category to make sure all our clients receive the highest standards in service, quality and comfort. 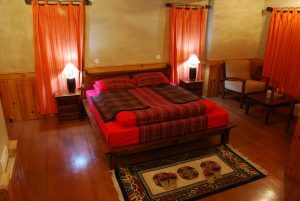 Since Spiti is a high altitude desert and our guests are usually on treks, long Himalayan Tours or experiencing homestays in the villages as part of the program, we make sure our guests are well looked after in the hotels. Himalayas are home to some of the magnificent camping grounds in the entire world. We have campsites with fixed tents at Chandratal, Rangrik, Kaza. The sites are situated in the lap of nature away from the crowded marketplace. 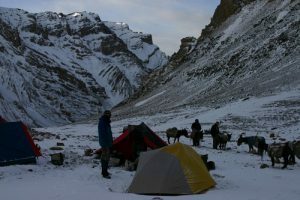 Fixed Camping is a unique way to experience the wilderness of Himalayas in comfort and Luxury. Tents are equipped with double beds, seating furniture, attached bathroom with western toilet and running water. Our treks offer a different camping experience in further remote locations. We provide the best of camping equipment sourced from renowned manufacturers for our treks. All of our camping, climbing and safety gear is kept regularly up to date with new purchases.